You're doing what? It may sound a little nuts to leave a job at a great company with great people to create content for a cardboard box. 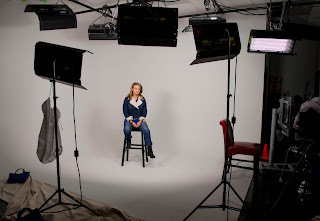 But in August 2015, I’ll follow my heart, hold my breath and jump into uncharted territory with Story-Up 360, my own digital storytelling startup that specializes in 360-degree, 3D content for social good causes. I’m leaving my full-time job at Veterans United to create Virtual Reality, a video/digital medium at the intersection of journalism and gaming. 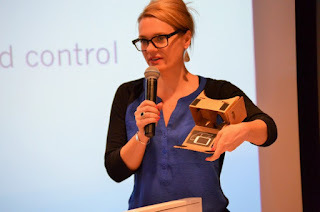 I was first introduced to Virtual Reality (360-degree, 3D video) by a device called Google Cardboard. I watched a short film called “Evolution of VRSE.” The three-minute immersive experience that came from this contraption that enveloped my smartphone made me gasp, tear up and feel the hackles raise on the back of my neck. In that moment, I wasn’t just watching the video. I was feeling the video. I took my phone out of the box, shook my head and realized someone had just invented an empathy machine! The story is no longer being told through a rectangle. It is a sphere where, like in a video game, the viewer has a first person shooter perspective. decided to test using VR to allow these terminally ill and aging Veterans to see their memorials with head mounted displays. VR’s level of immersion is far greater than any 2D video display. It is an entirely new kind of digital storytelling. Professional cameras that make VR are for the most part expensive, difficult to use and edit. In fact, you have to stitch the video into a sphere using special software. The payoff is you can transport a viewer inside a video or a website. My first exploration into 360 storytelling will debut later this year in an endeavor with Google, Jaunt Studios, Ghost Machine VR, Veterans United Foundation and Central Missouri Honor Flight. Honor Everywhere 360 is a VR experience for terminally ill and aging Veterans not able to physically travel to Washington, DC to see their memorials. I want to do more. 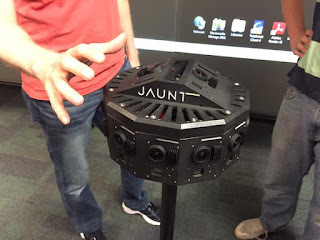 Jaunt Camera that shoots in stereoscopic, 360 degrees. For the last few months, I’ve become a student of VR attending conferences, listening to gaming podcasts and purchasing head mounted displays used to view the video. Consumer versions of the goggles that envelope your smartphone are already out. However, the father of VR, the Oculus Rift (now with hand controls) will be available for pre-order later this year. We are at the Lascaux Cave moment of a new kind of storytelling: the beginning of the beginning of the beginning. Most are focused on how VR can be used for gaming. I want to use VR for journalism. VR is not new. It’s been around for decades but what is new is the portable, affordable goggles to view the immersive video. To my mom, I describe them as “like a new personal 3D TV set for your face with a screen that never ends.” It used to be you needed an Imax theater or a specially constructed cave to view virtual reality. It was the thing of theme parks. With the invention of a consumer headset by a young man named Palmer Luckey and 360 degree/3D camera arrays, VR video is becoming readily accessible to the average consumer. By 2018, it's projected to be a 4 Billion dollar business with consumers owning 24 million VR devices. If you want to understand where this medium is headed, read this fiction book “Ready Player One”. The world is no longer flat and neither is the web. With WebVR, WebRTC, haptic gloves and goggles, people will be able to touch and move through websites and video to interact with businesses and people in a whole new way. Since our technology is changing, our storytelling also has to adapt for this non-flat world. 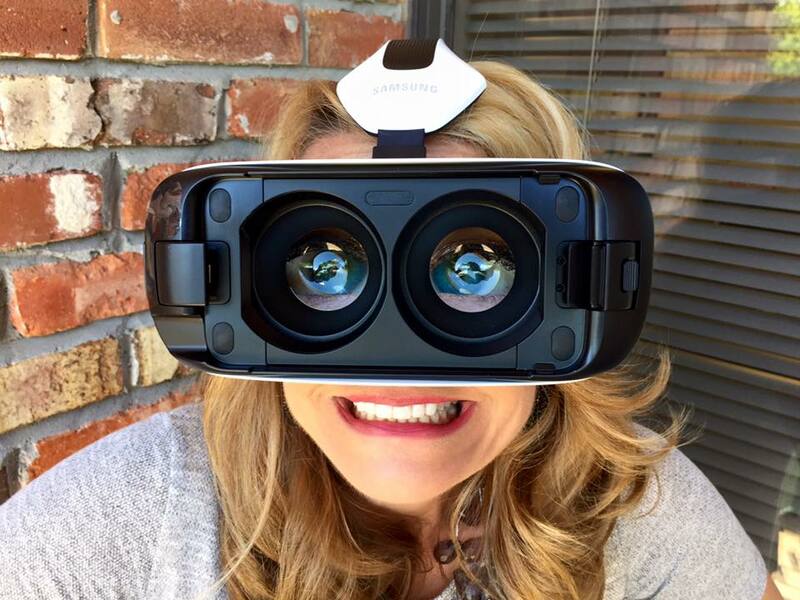 It’s almost as if journalists will have to shoot the world all over again in VR. For two decades, I’ve been trying to use words and fixed-frame video to take people to places where they could understand. Many times I wished viewers could truly see what we saw while covering stories. For instance, the person dragging their body through the mud because they had no mobility, the aftermath of the 2004 Tsunami on a Sri Lankan village, the 360-degree sound of applause as a room filled with people cheering the return of a Navy seaman from deployment. Now, technology is enabling a way for the public to step in the shoes of the storyteller and truly be their own eyes and ears. This is only possible if we accept the challenge to learn how to write, report, shoot and edit outside of the fixed rectangle. Christopher Columbus had it right when he theorized the world is not flat. It’s round! Once again, I’m taking my hands off the wheel and letting the wind take me. I may call on you, my friends, to use your influence to help it blow in our direction. We have a lot of work ahead of us. Few have experienced VR, even fewer have a headset and we have to shoot and edit the world all over again in stereoscopic 360. True faith and courage are like a kite – an opposing wind raises it higher. Want to intern with Story-Up? Write an essay on something that hurts your heart that you wish the world would change. Want to become my second angel investor? Email story1up@gmail.com. Want to join our VR enthusiast club? Email story1up@gmail.com . I need your help with a new program that allows terminally ill and aging WWII veterans to experience their memorials as if they were actually there. If you have experience with Virtual Reality (VR) or know of a Veteran who can't physically travel, you could give an aging veteran a valuable gift. Please read on. 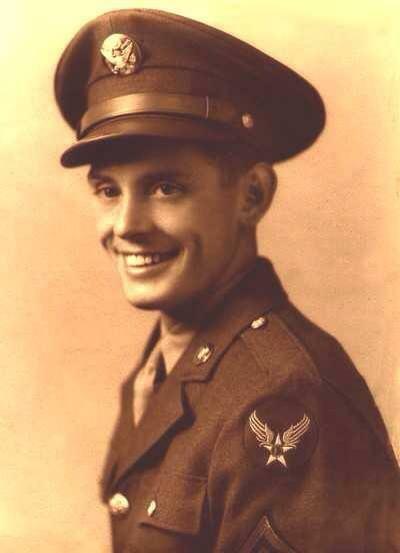 We are losing our World War II Veterans at a rate of 500 a day nationwide. Sadly, most of these 80 and 90-year-old men and women will never get the chance to see their memorial. But what if there were a way to magically transport them to the places they're not able to visit? New Virtual Reality head mounted displays are enabling a 360 degree, 3D magic carpet to places not previously imagined. his memorial in Washington, DC. While it's too late for him to see the World War II memorial, it's not too late for the thousands of Veterans in assisted living centers and Veterans homes who don't have the physical strength for air travel on an Honor Flight to the nation's capital. 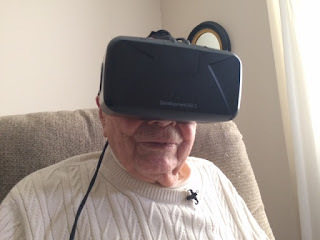 HonorEverywhere360.com is a portable, Virtual Reality experience that can be viewed from a Veteran's bedside or assisted-living center. Using camera and video production technology from Jaunt Studios and a viewing device called Google Cardboard, Veterans are able to experience their memorial as if they were actually there. 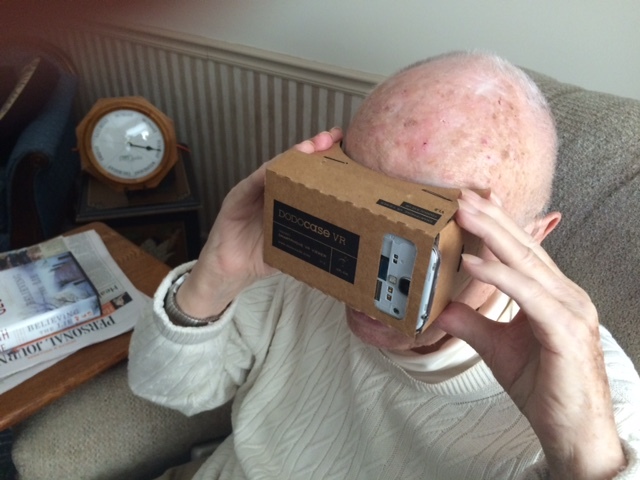 Stereoscopic, 360 degree, 3D video allows the Veterans to look left, right, up and down. about his Honor Flight Experience. Sadly, he passed just weeks after this photo. We are looking for people willing to host viewings in their cities and tech Guardians willing to assist the Veterans with their VR "goggles". The VR experiences of Central Missouri Honor Flight are free thanks to production services from Jaunt Studios, equipment from Google and Veterans United Foundation and supportive services from Ghost MachineVR. If you know a Veteran not able to physically travel, please email honoreverywhere360@gmail.com or visit HonorEverywhere360.com .